If you're having trouble remembering to get your cholesterol checked, maybe there's a reason - a study finds that memory loss is associated with low levels of HDL, the "good cholesterol." 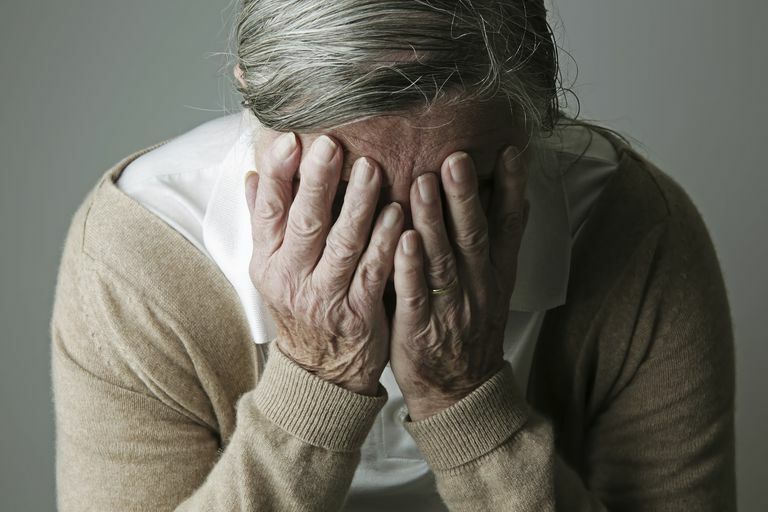 Researchers believe this memory loss may lead to dementia later in life. The study, published in July 2008 in Arteriosclerosis, Thrombosis and Vascular Biology: Journal of the American Heart Association, found that, by the age of 60, men and women with low levels of HDL were 53% more likely to have memory loss than those with higher levels. The use of statin drugs to raise HDL levels or to lower levels of LDL, the "bad cholesterol," was not found to have any association with memory loss in the study. And this isn't the first time researchers have found a link between cholesterol and memory problems. A study in 2002, published in the Archives of Neurology, found that women with high levels of LDL had increased degrees of cognitive impairment, including memory loss. Four years later, study subjects who lowered their LDL levels also lowered their chances of suffering from cognitive impairment. In 2004, a study from the Netherlands found that a diet high in cholesterol and saturated fat was linked to an increased risk of cognitive decline among middle-aged study subjects. That study, published in the journal Neurology, also concluded that consumption of fish and fish oil was associated with a lower risk of cognitive decline; the reputation of fish as "brain food" appears to be intact. How does cholesterol affect memory and cognitive function? The precise answer to that question remains a mystery. Researchers speculate that HDL may improve memory in a number of ways. HDL has anti-inflammatory and antioxidant properties, which may improve brain function. HDL may also prevent the formation of beta-amyloid, associated with the plaques that form in the brain tissue of Alzheimer's patients. Other researchers, like William Connor, M.D., professor of medicine at Oregon Health and Science University in Portland, Oregon, believe that cholesterol affects brain functioning primarily through the link between LDL and strokes, which are caused by plaque formation in the blood vessels of the brain. "High cholesterol levels in the blood can predispose the deposition of plaque in the blood vessels," says Connor, a specialist in atherosclerosis (the process by which deposits build up in arteries). And, he adds, "stroke can result in memory loss." A review of studies in 2011 noted that "cholesterol seems to be intimately linked with the generation of amyloid plaques," which develop in Alzheimer's disease. The majority of the studies they looked at found an association between cholesterol and Alzheimer's disease. While researchers continue to piece together the puzzle of cholesterol and memory loss, there's much that you can do now if you're concerned about your cholesterol levels. According to the American Heart Association, getting regular exercise and avoiding tobacco smoke can all help to moderate cholesterol levels. Cholesterol-lowering drugs can also help patients achieve their cholesterol goals. And, of course, eating a heart-healthy diet is strongly recommended. In addition to avoiding saturated fats and cholesterol, Dr. Connor and other experts encourage people to get plenty of fiber, eat fruits and vegetables regularly and have one or two servings of fish per week. Connor, William. Telephone interview. 5 Jul. 2008. Mathew A, Yoshida Y, Maekawa T, Kumar DS. "Alzheimer's disease: cholesterol a menace?" Brain Res Bull. 2011 Aug 10;86(1-2):1-12. doi: 10.1016/j.brainresbull.2011.06.006. Epub 2011 Jul 1. "Low Levels of Good Cholesterol Linked to Memory Loss, Dementia Risk." americanheart.org. 1 Jul. 2008. American Heart Association. 3 Sep. 2008. Kalmijn, Sandra, et al. "Dietary Intake of Fatty Acids and Fish in Relation to Cognitive Performance at Middle Age." Neurology 62 (2004): 275-80. 6 Sep. 2008. Singh-Manoux, Archana, et al. "Low HDL Cholesterol Is a Risk Factor for Deficit and Decline in Memory in Midlife: The Whitehall II Study." Arteriosclerosis, Thrombosis, and Vascular Biology. 28 (2008): 1556-62. Yaffe, Kristine, "Serum Lipoprotein Levels, Statin Use, and Cognitive Function in Older Women." Archives of Neurology. 59:3 (2002): 378-84. 3 Sep. 2008. Can Drinking Tea Help Lower Your Cholesterol? How Can You Add Pecans to Your Diet for a Healthy Heart? Do Statins Cause Memory Loss?